The concept of Unity is built into our currency. 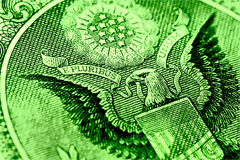 E pluribus unum is written on every dollar, every coin, it is the most common symbol of unity in our daily lives. We are One. The founding fathers got it, they understood, and wrote their version of democracy and social responsibility based on Unity based on the concept of understanding that we are all one people.